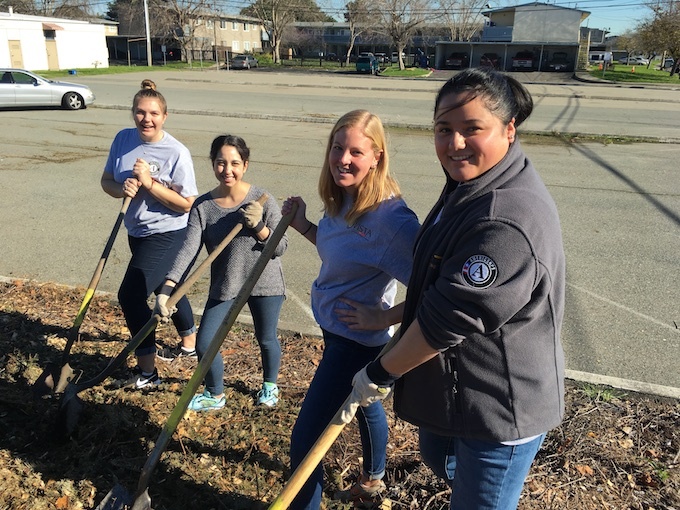 A year of AmeriCorps service offers unexpected benefits and rich opportunities for deepening your understanding of your aspirations and connecting with members of your community. 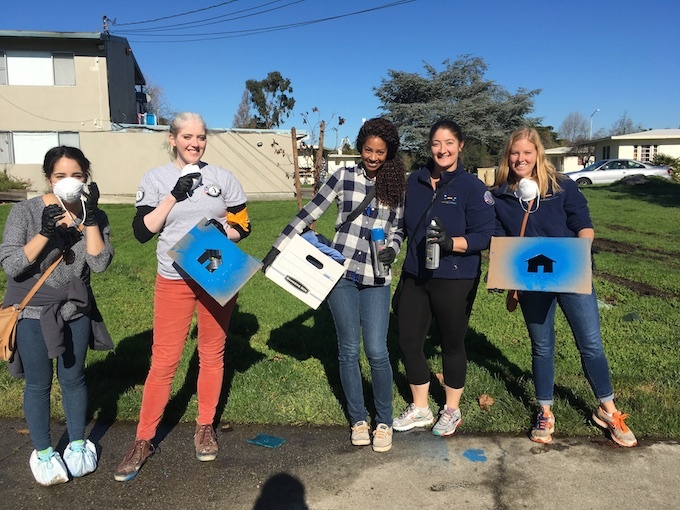 The service experience can certainly propel you forward on your journey to find out who you are and where you’d like to go; at the same time, AmeriCorps comes with a particular set of challenges. A simple lifestyle certainly has its own rewards—a focus on people, not things; a truer understanding of the difference between what you want versus what you need; even the opportunity to try on values that counter the themes of a consumer society. Yet, the limits of the stipend produce real obstacles; having fun, exploring your city, and developing hobbies can be tricky when you’re strapped for cash. Fortunately, many AmeriCorps members have developed strategies to live well while living on a budget. Thanks to the generous responses of Reading Partners’ current AmeriCorps members and alums, this blog is a collection of clever suggestions and resources for creating a full life without oodles of money. This may be the biggest takeaway for anyone living on limited means. Having a budget means that you’re planning ahead and developing a safety net for yourself—this way, you won’t be wandering around spending money you don’t have. Reliable online budgeting tools include Mint.com and Goodbudget.com. In addition to budgeting, be sure to: 1) get your student loans put on forbearance as soon as possible and 2) make an effort to save after each pay period, however small the amount may be. Find out your SNAP/food stamp eligibility and apply as soon as possible. The process for applying differs by state, so check the USDA’s website for details. Using SNAP will give you a little more room in your food budget and savings from this category can add up over time. Cook for yourself as much as possible and grocery shop for deals. Cooking your own meals rather than eating out at restaurants is one of the best ways to keep spending in check. Most members say they eat out very rarely and pack their lunch for work nearly every day of the week. Eating out once a week or less is common, as is eating at restaurants with lunch specials or happy hours. Invest in your culinary chops by asking friends for recipe recommendations and borrowing cookbooks. Becoming more comfortable in the kitchen will open up new worlds of nutritious delights. It will keep you healthy and happy too! Smart shopping is vital. Look for opportunities to find cheap produce, like at a local farmer’s market—a fan-favorite for AmeriCorps members. Community Supported Agriculture (CSA) programs, such as Imperfect Produce in the Bay Area, are great for money-savers. Get a SAMs or Costco card to buy bulk items if you live with roommates willing to split the costs. Pick your grocery store wisely. Choose one that’s known for affordable prices. Meal planning can also help you focus your search for deals based on your actual ingredient needs. Whether you love to shop or just need some new items of clothing, try thrift and bargain stores to find what you need for cheap. Recommended secondhand stores include: Salvation Army, Savers, and Goodwill. Sign up for email lists for your favorite shops or activities and wait to purchase when you get a coupon/promo code. Find a balance between exercise, sleep, and healthy habits that make you feel good. You don’t have to give this up just because you’re living on a stipend. Many gyms and YMCAs offer discounts based on income. Some local studios may offer free classes in exchange for your time volunteering at the front desk or providing clean-up services. Or forego a membership cost entirely and exercise outside. Find running trails and paths. If you own a bike, explore parks and nearby towns. Learn yoga at home by checking out YouTube videos. Search for communal living opportunities. If you have the option to live at home, it may save you money in the form of reduced or free rent. If not, look for openings in houses and apartments with roommates or investigate cooperative living situations through Craigslist and Facebook groups (search for groups with “affordable housing,” “co-op” or other key terms in their title). Commute to work using public transportation or by carpooling. Some cities offer a reduced-price transportation pass for low-income individuals. Check your local transportation website for details. Take on a small part-time job if you want some extra cash. Some members recommended taking on part-time side jobs if you’re able, such as babysitting, dogsitting, housesitting, or tutoring. Use sites like events12, which compiles lists of local fairs, theater, and arts events, or ask around about free festivals. Even better, many festivals and events that require a ticket will offer free entrance in exchange for volunteer hours. Go to free community lectures at libraries and colleges. Plan ahead by finding out when museums offer free entry days (usually at least one every month or so). Host game nights or potlucks at your house for other AmeriCorps members and friends in your area. Join a book club or start one with coworkers. If you like the outdoors, find parks, beaches, or other destinations you can reach via bike or public transportation. Hiking and spending time outside is one of the most popular activities among Reading Partners’ AmeriCorps members. Host Netflix screening parties, karaoke, or dance parties at home with friends. Read more and borrow books and movies from the library. Befriend others in your AmeriCorps cohort—they likely want to save money too and will help you stay on track. If you can’t get it free, find deals. Go to $5 movie nights at local movie theaters (usually Mondays or Tuesdays) or free popcorn days. Theaters may offer reduced-price tickets on certain nights or have pay-what-you-can shows. Keep your eyes open for free promotions at newly opened cafes, restaurants, and ice cream parlors. Locate the best local happy hour for affordable bites and drinks. Many urban areas have First Friday events with fun window-shopping, art-viewing, socializing, and cheap-eating opportunities. Find and develop a hobby. Just make sure it’s the type that doesn’t require a lot of pricey materials. Many members noted that they enjoy hobbies like painting, writing, or making DIY projects. And if you do have an expensive hobby, be sure to seek scholarships or other ways of funding your interest. Download our guide with additional resources and websites for living on the stipend.